An extension lead with a female socket at one end and a set of crocodile clips at the other end. 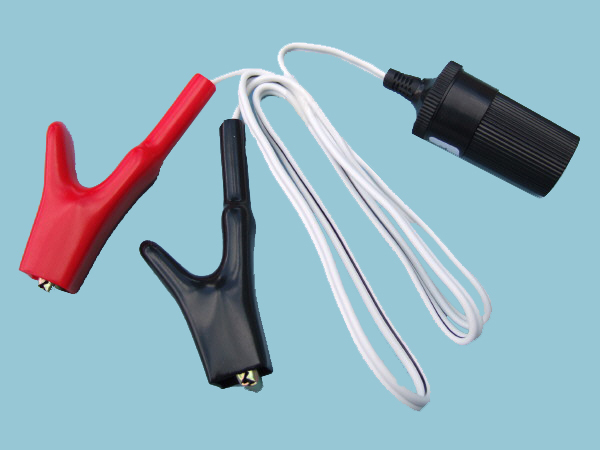 The lead is 1000mm in length, the large crocodile clips are fully insulated and suitable for use with all types of 12V batteries including leisure batteries. Rating : 12 Volt 10 Amp.